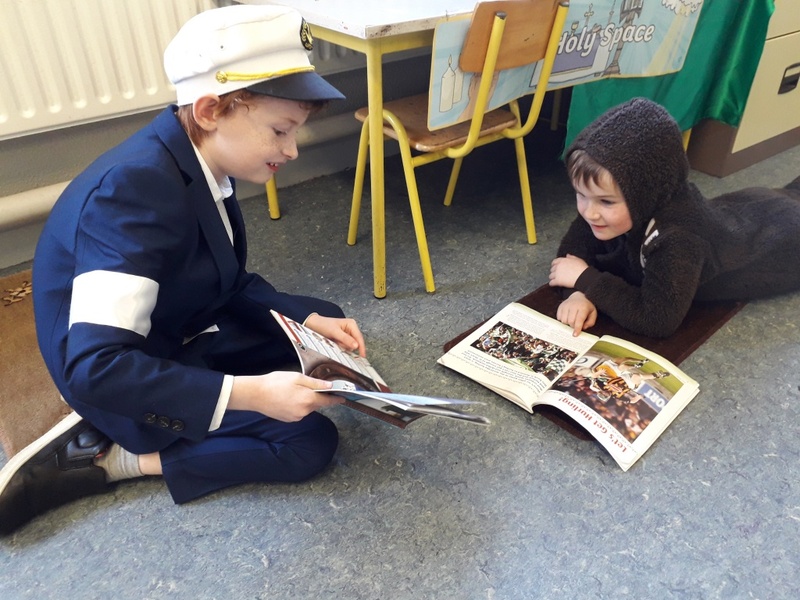 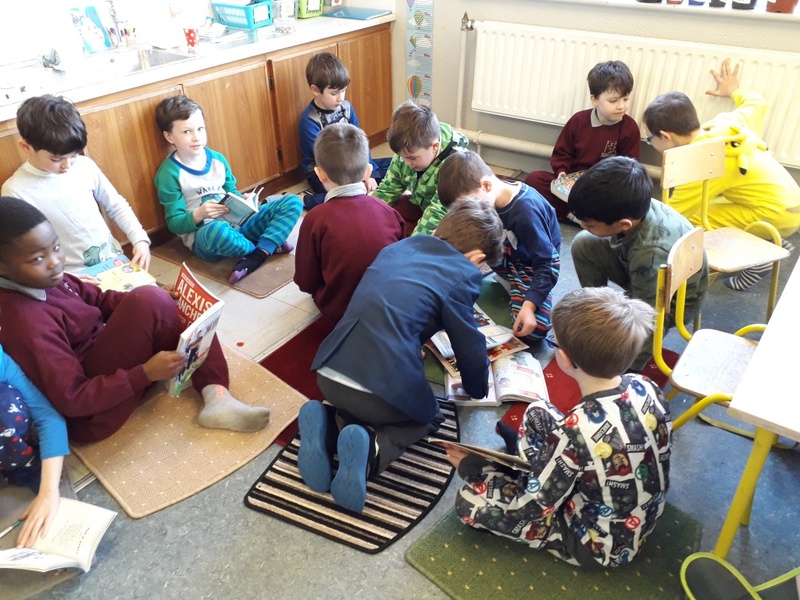 First class really enjoyed World Book Day on Thursday 7th March. 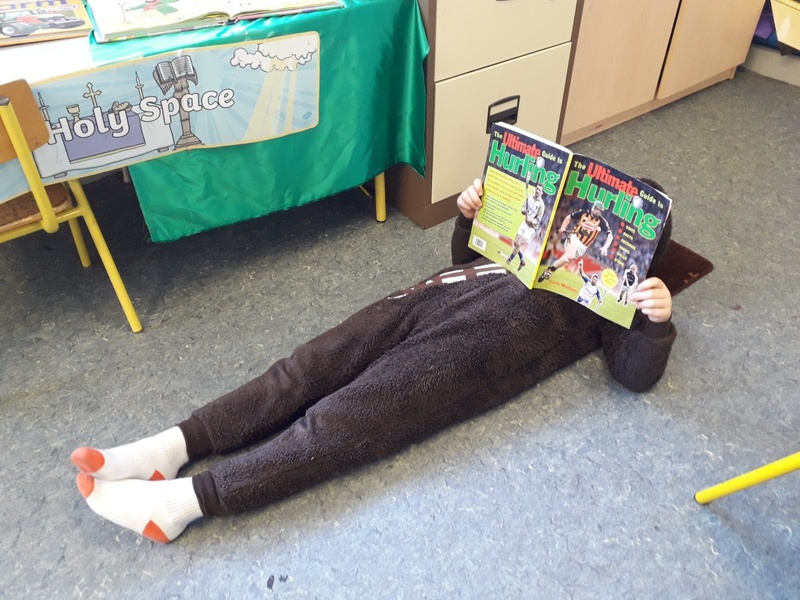 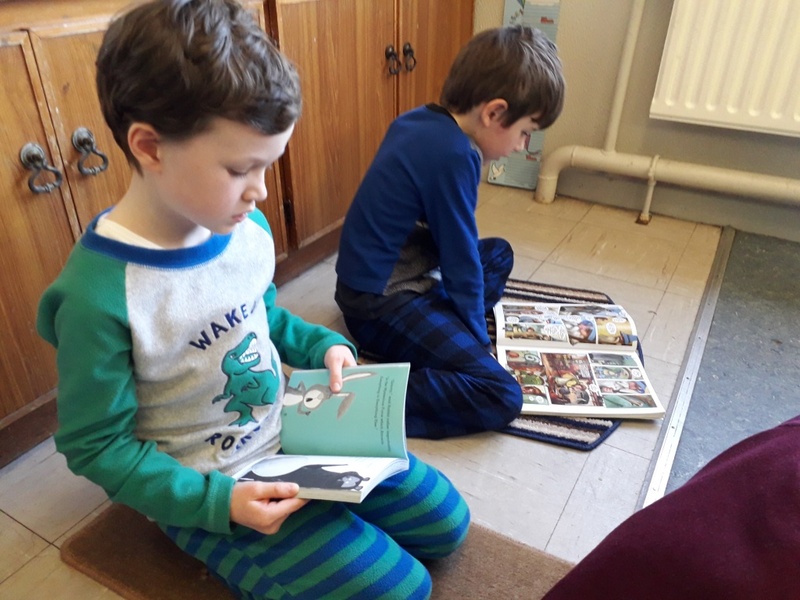 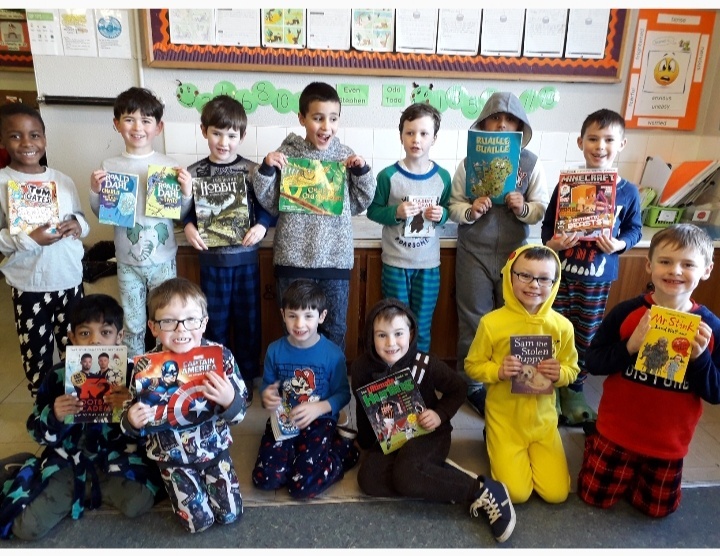 Some boys dressed up as their favourite character from a book and others came in their pyjamas to enjoy "read and chill" time! 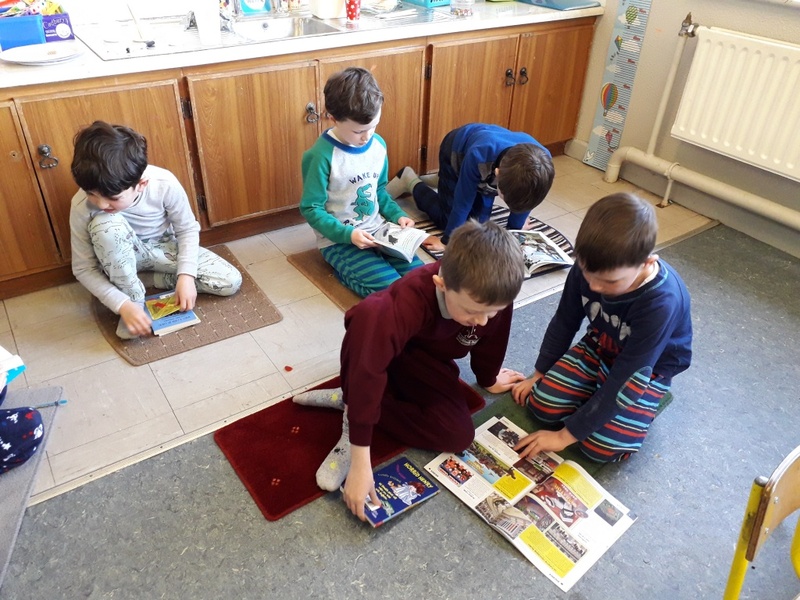 We loved reading our books and showing them to our friends. 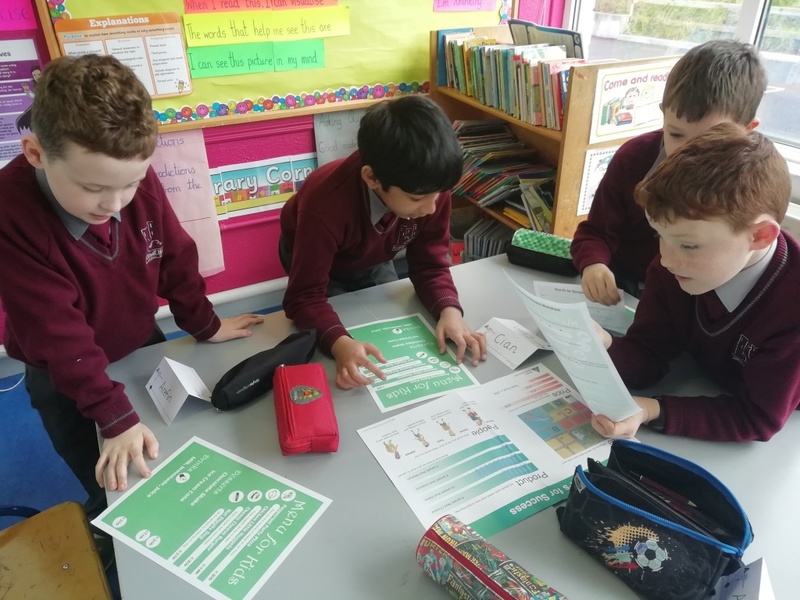 As part of Scoot to School Week, the boys who used a scooter/flicker to travel all or part of the way to school took part in a workshop with Caitríona, our An Táisce facilitator. 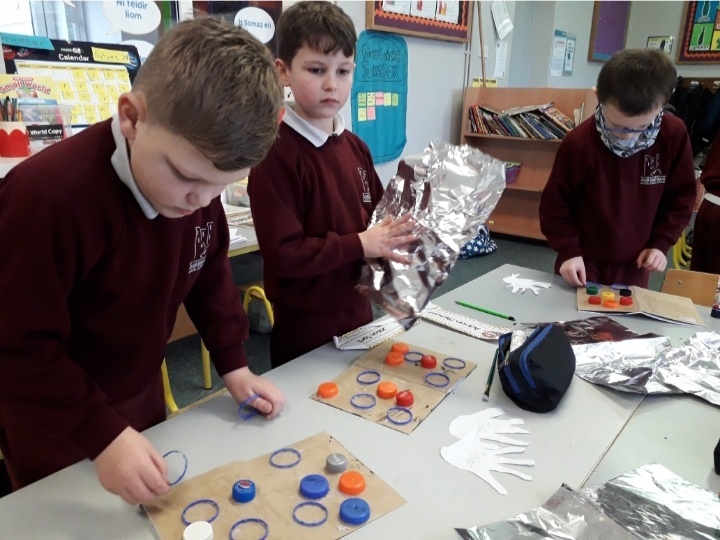 Helmets and Hi Vis jackets were a necessity and the boys learned how to ensure their helmet is on correctly and how to use their scooter safely. 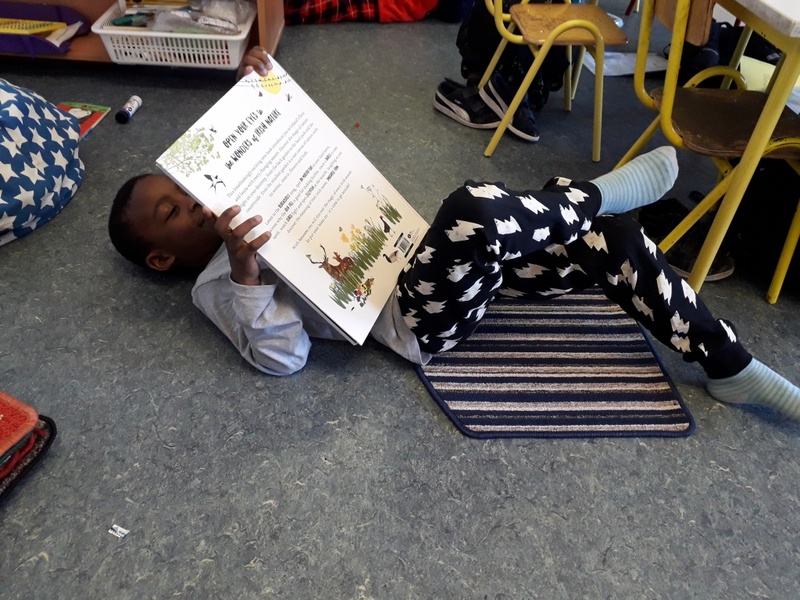 We learned a lot! 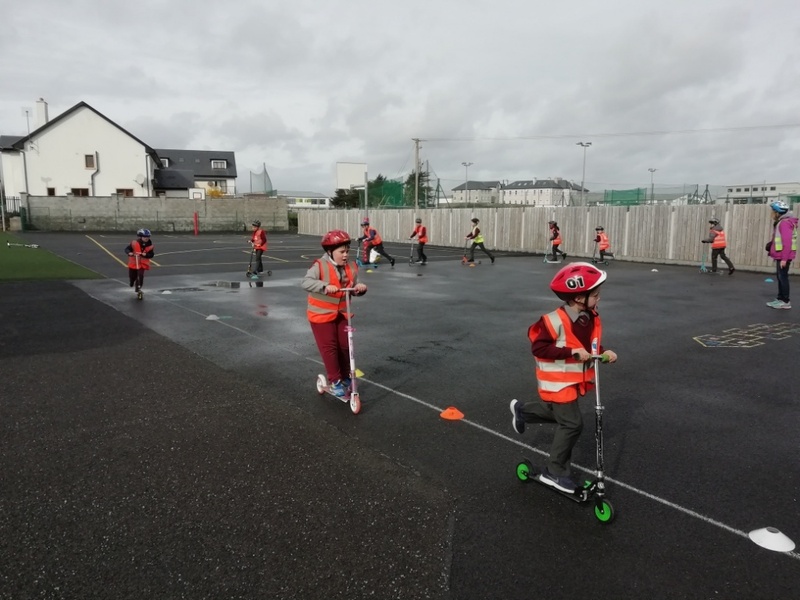 Please see document attached for some of Caitriona's tips for using a scooter/flicker. 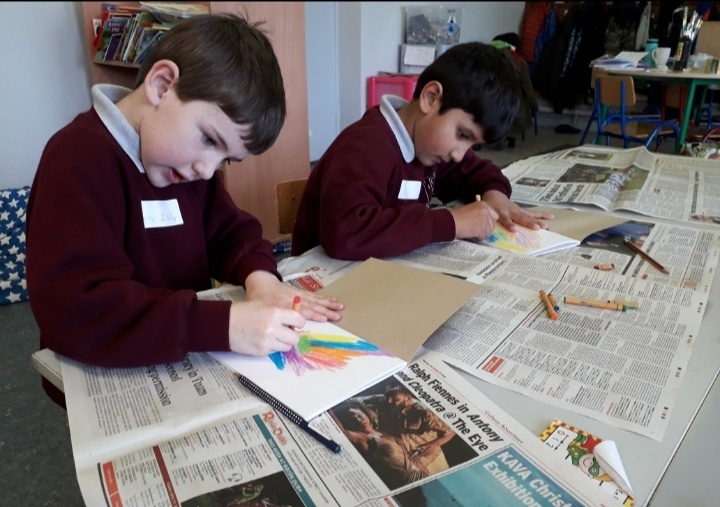 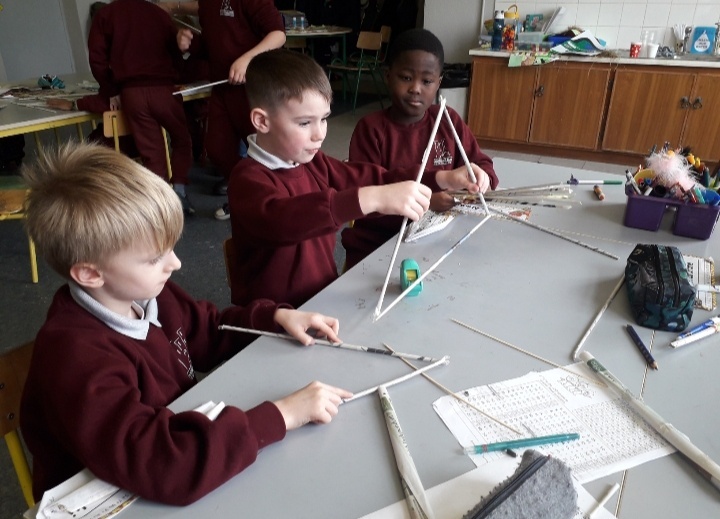 The two first classes were so lucky to have taken part in a recent artist-in-residence programme with the Galway Education Centre. 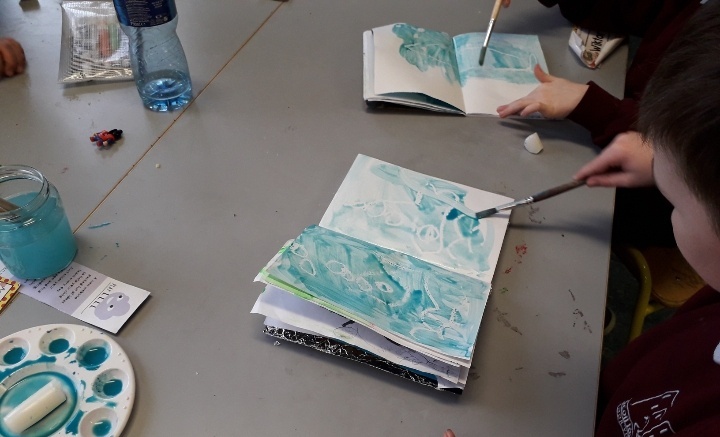 We loved having artist Anne O'Byrne visit us for the past seven weeks. 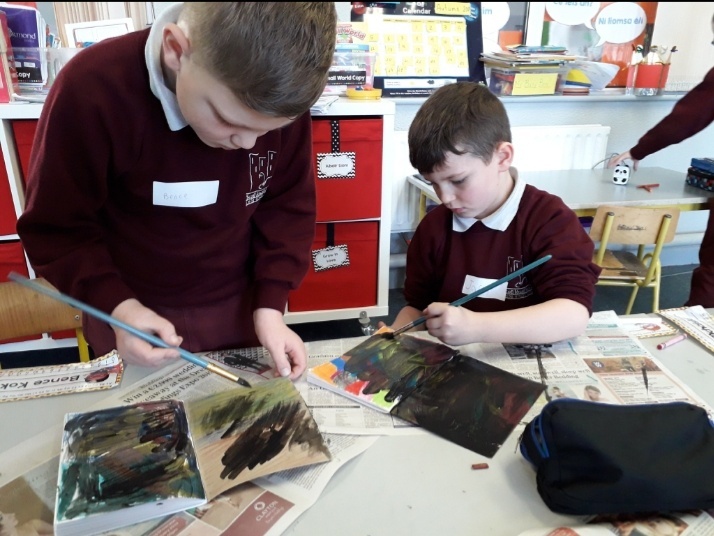 Everyone was given our own art journal and we explored paint, print, fabric and fibre, map making and even built our own bridges for Engineers Week! 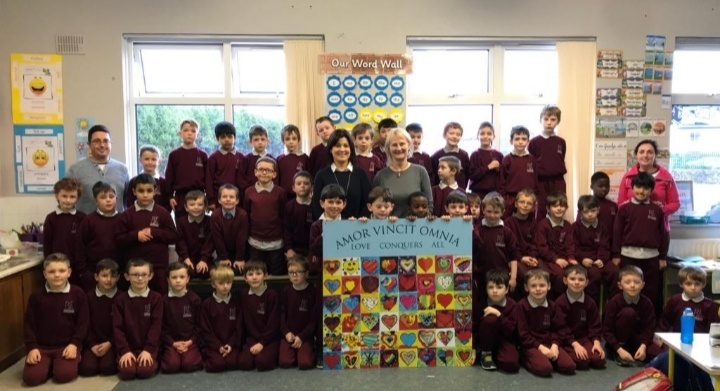 To top it all off, we created a print which is now hung in the school foyer and represents the school motto which means "Love Conquers All". 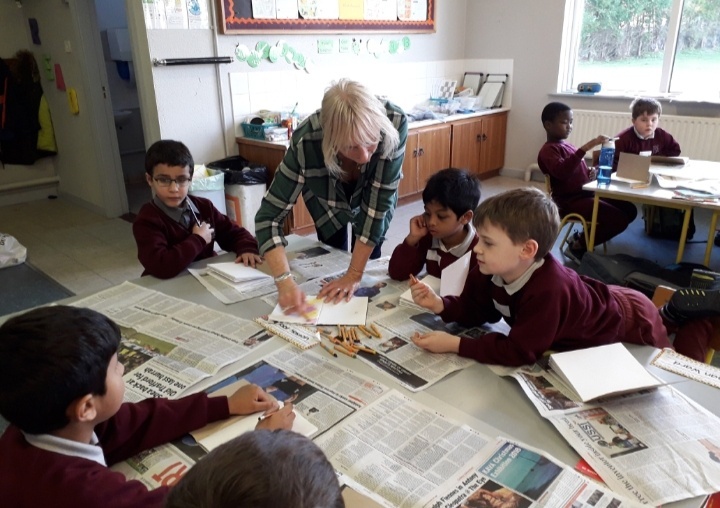 Thank you so much to Anne for her time and to teacher Fiona Conneely for starting off the programme. 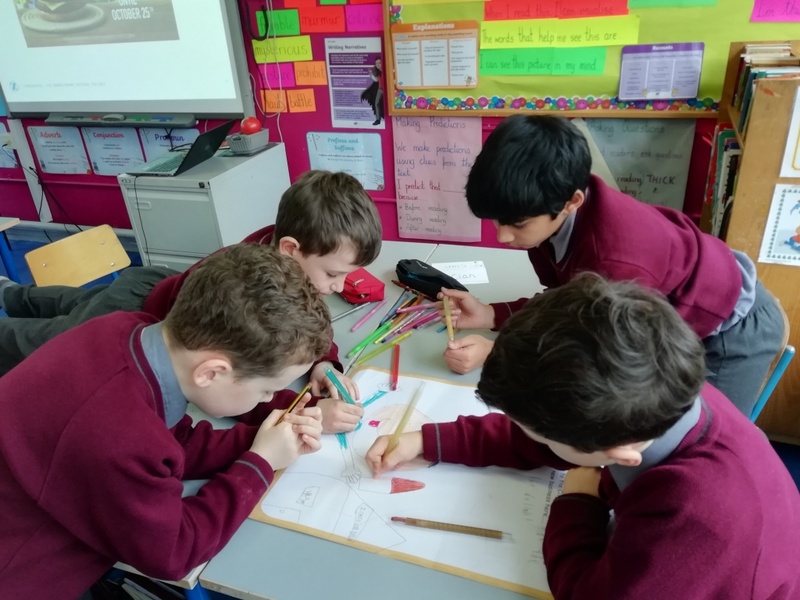 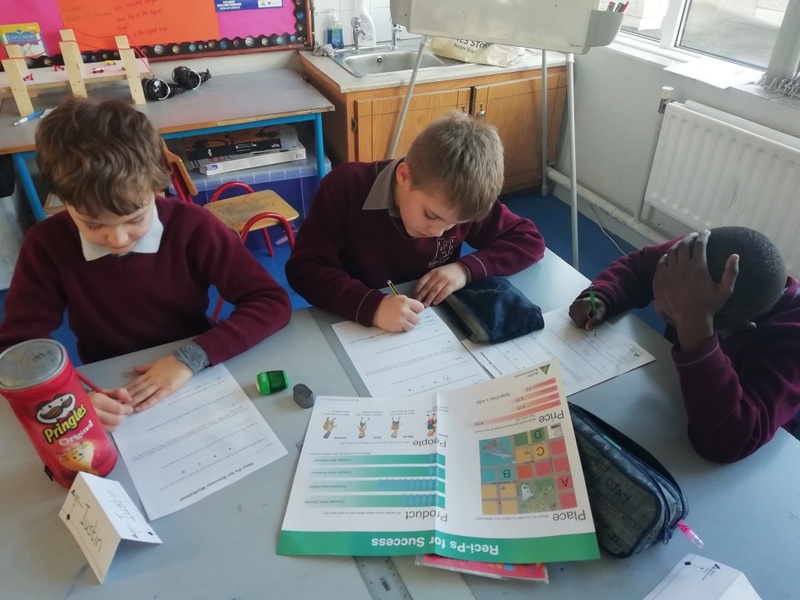 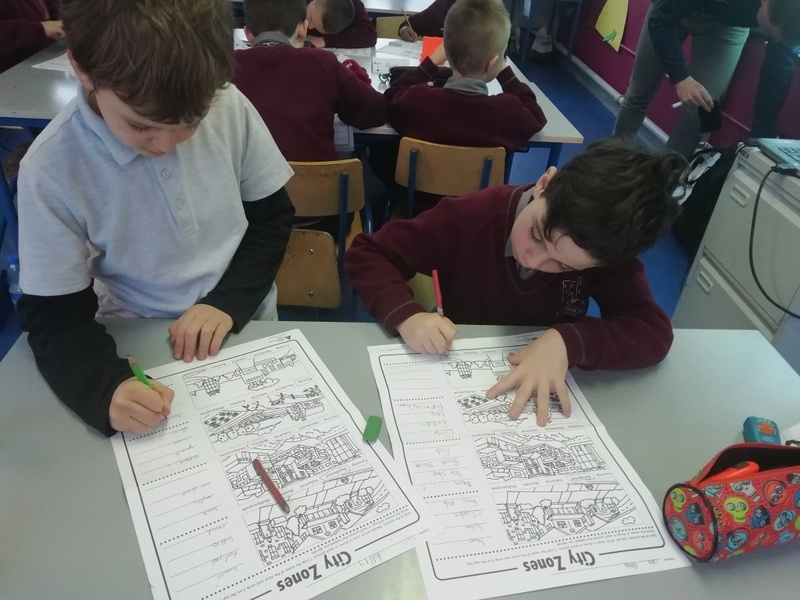 3rd class recently took part in the Junior Achievement Programme, 'Our City'. 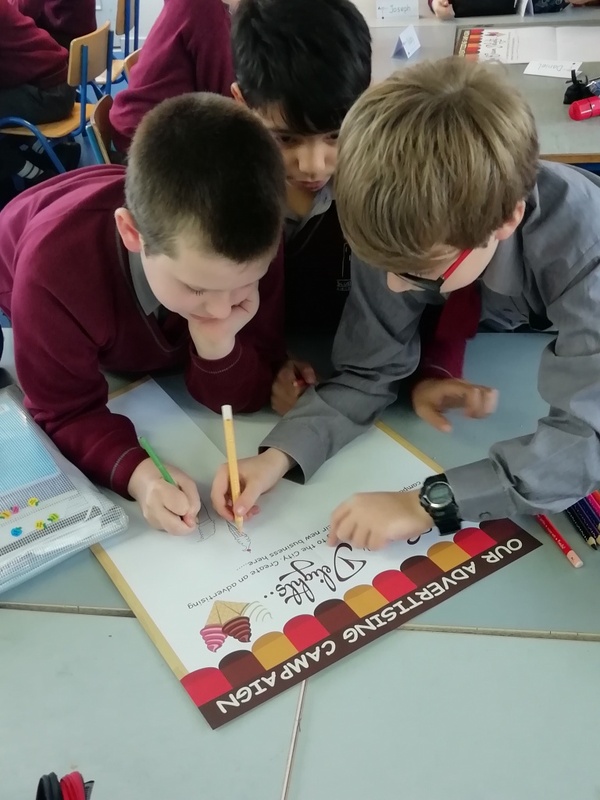 Our facilitator Séaghan, taught us a lot about life in a city and even helped us to build a city! 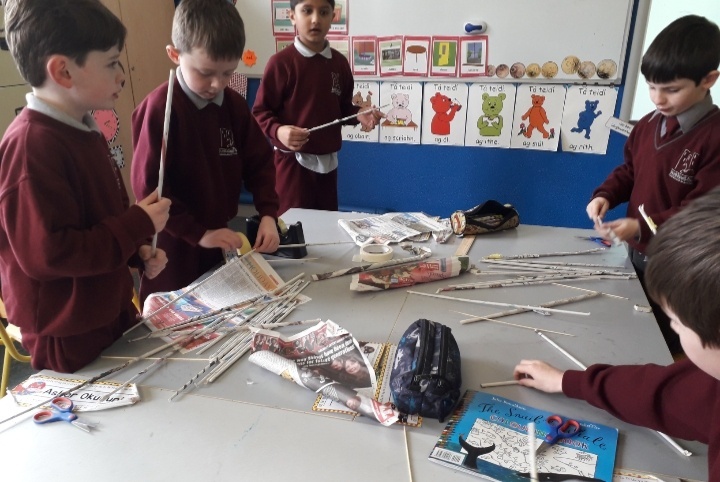 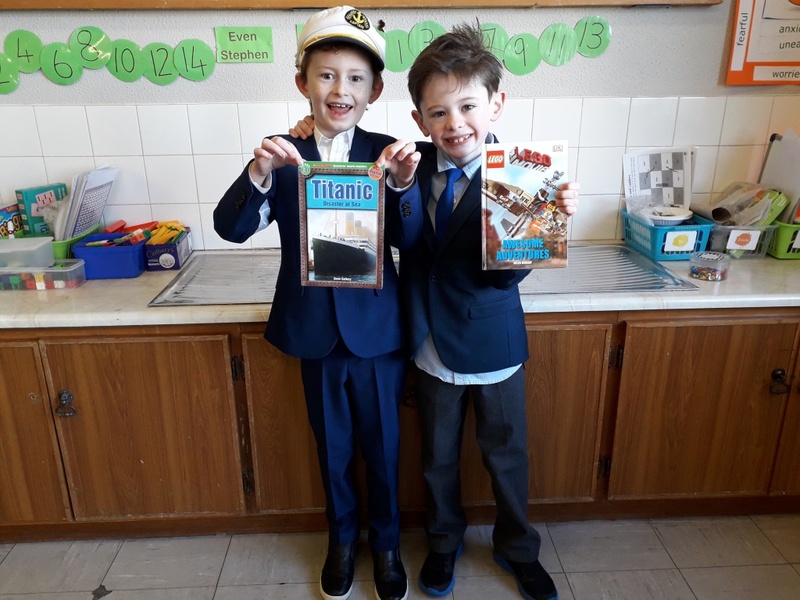 The boys constructed paper buildings, mapped out a city, wrote newspaper articles, planned their own ice-cream shop and examined why banks are important. 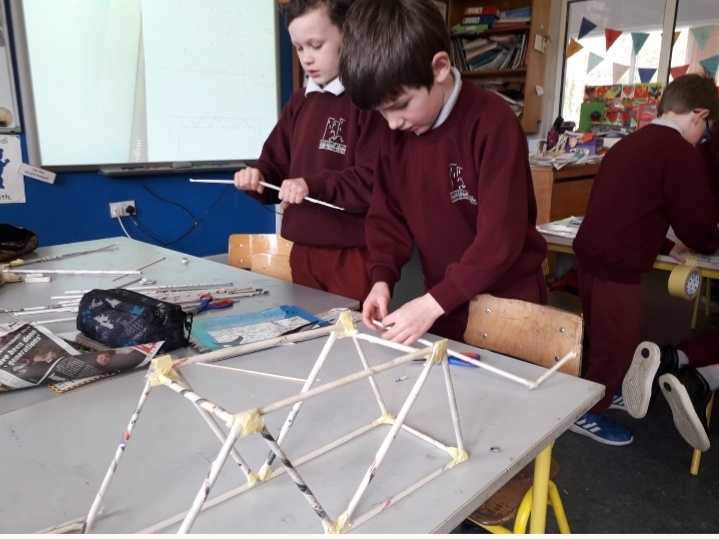 Future Engineers and Planners in the making!